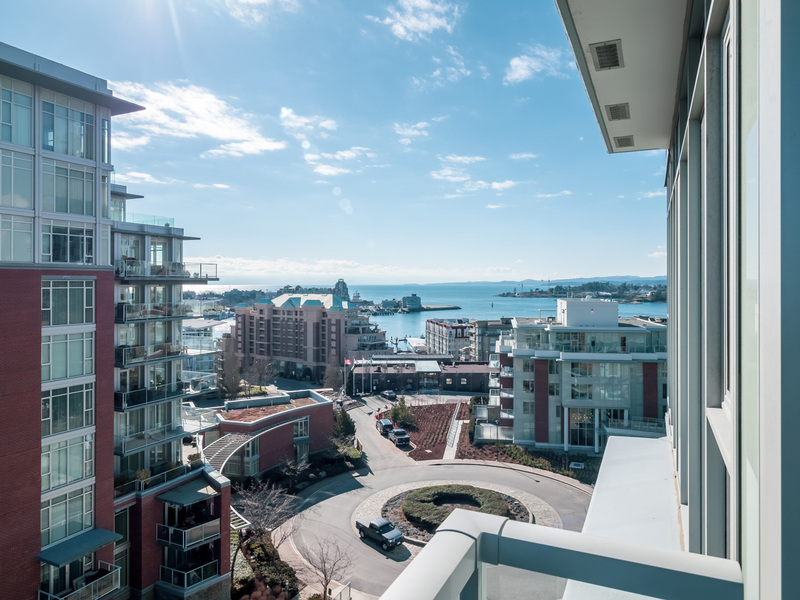 This elite high rise condo at 83 Saghalie Road boasts stunning harbour views and some of the best amenities in the city. 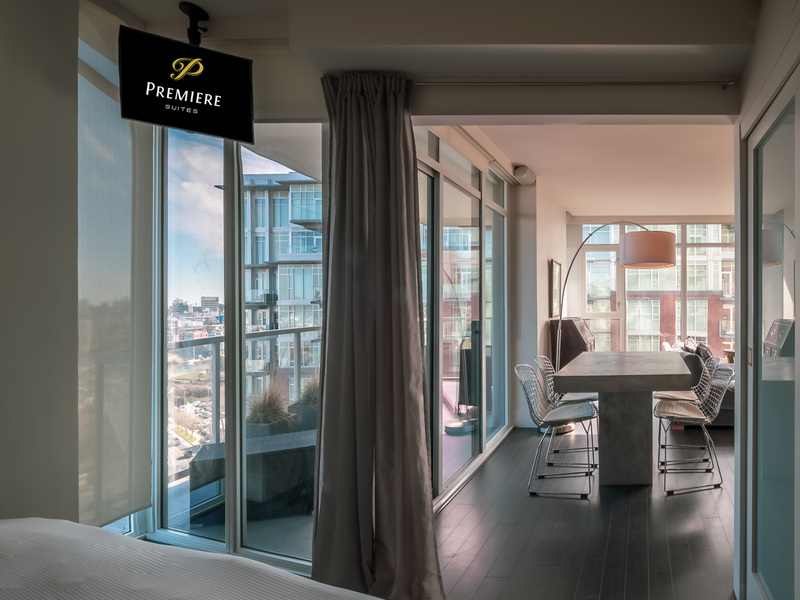 As you enter, the Promontory greets you with a stunning two-storey lobby complete with concierge. 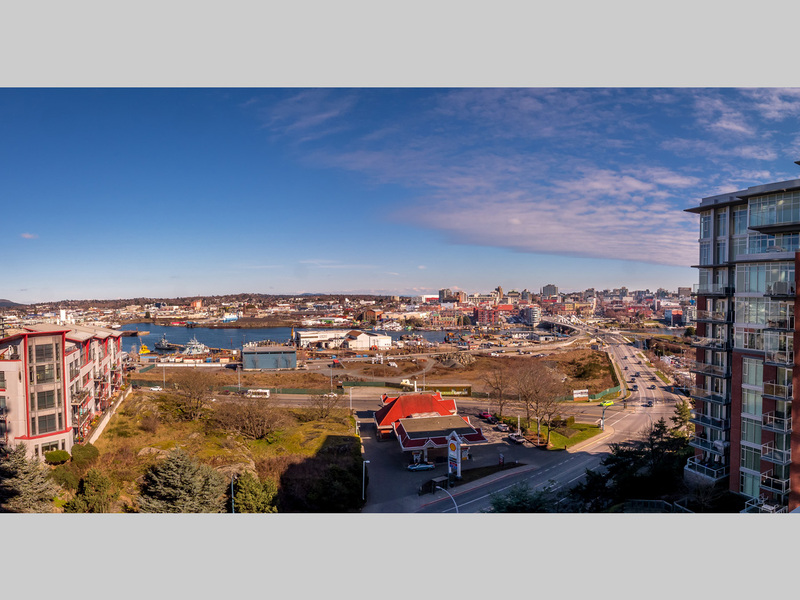 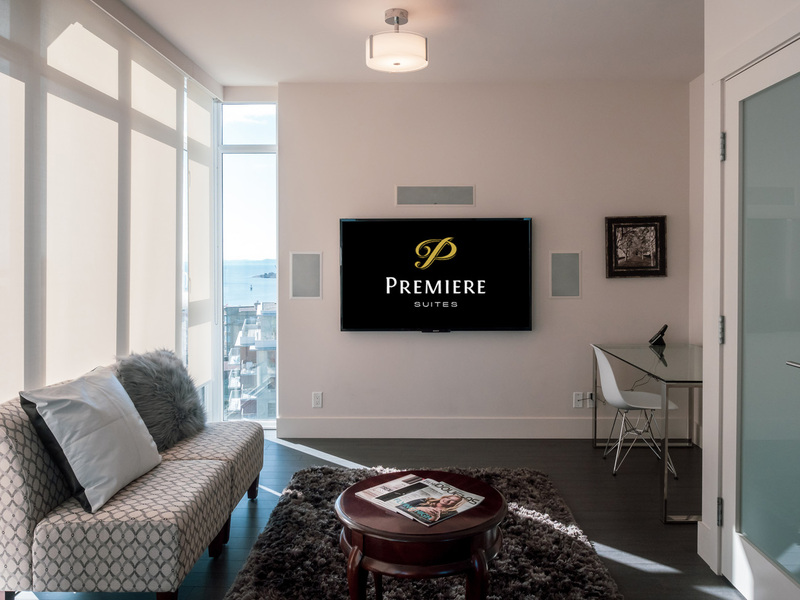 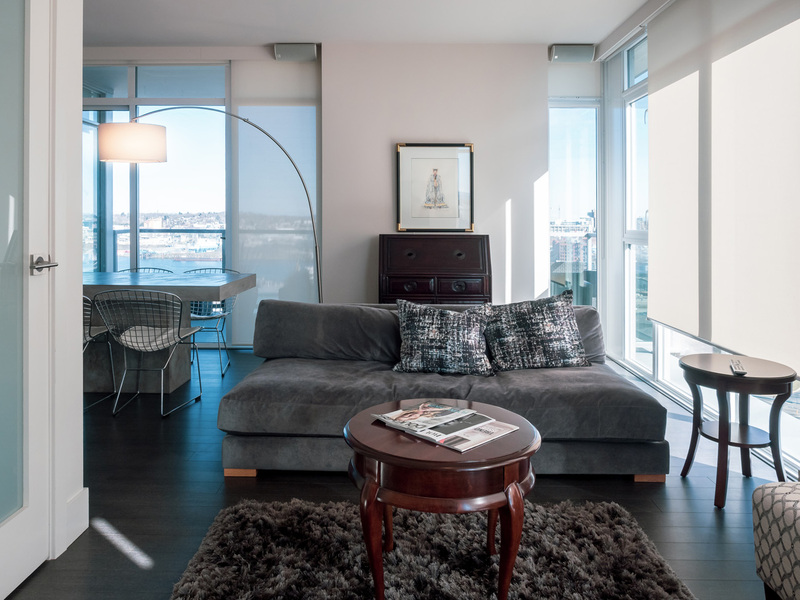 The grandeur continues as you enter your spacious 720 square foot suite with a king bedroom and incredible views overlooking Victoria and the harbour. 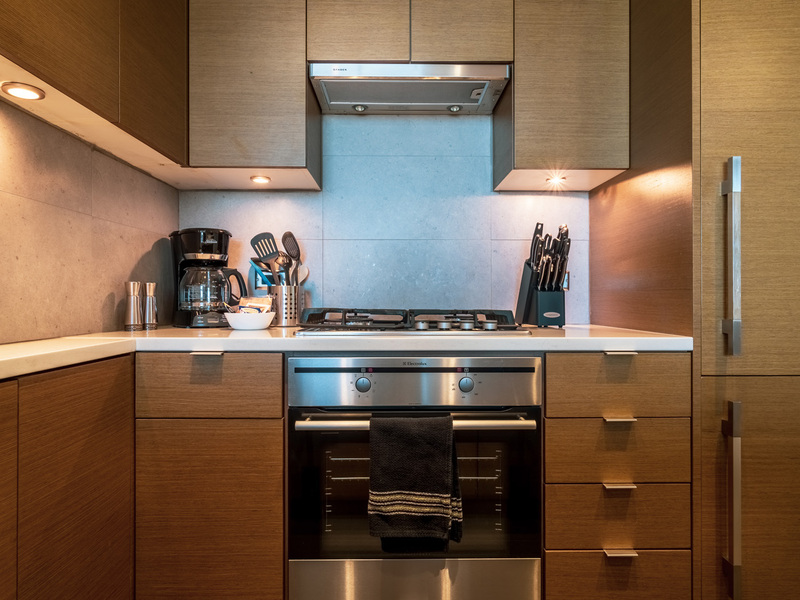 The kitchen features premium appliances including a gas range, full-height cabinetry, stone countertops, bar seating, and a built-in television! 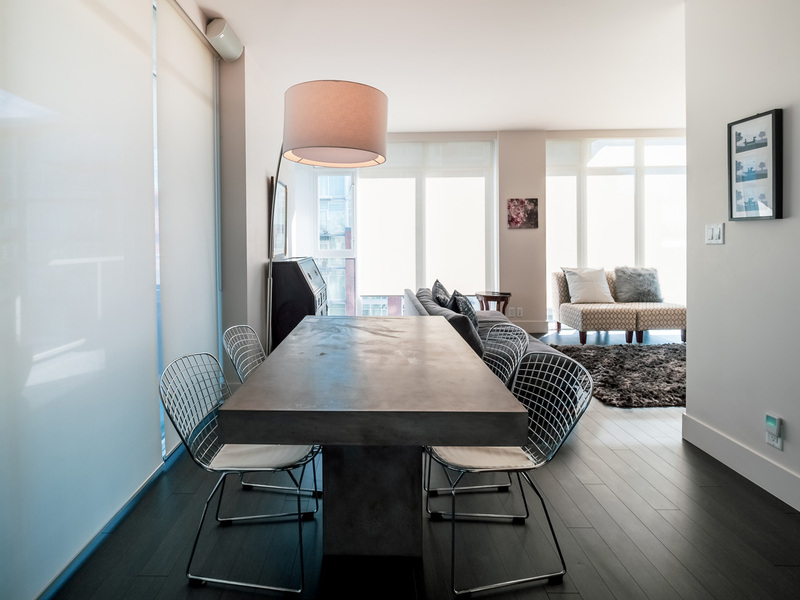 A 4 person dining set with modern concrete table is provided, as well as a work station for those needing space to work from home. 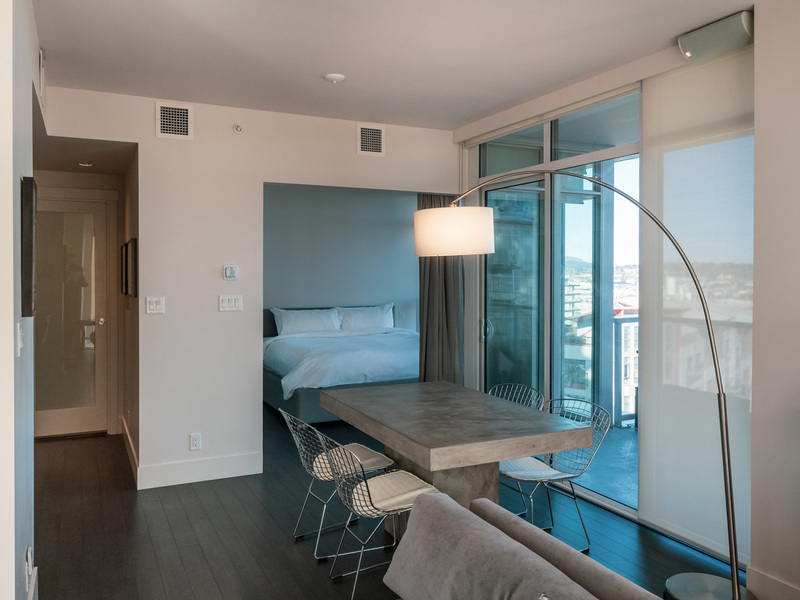 The bedroom features a king size bed, flat screen TV, built-in closet shelving, and more stunning views. 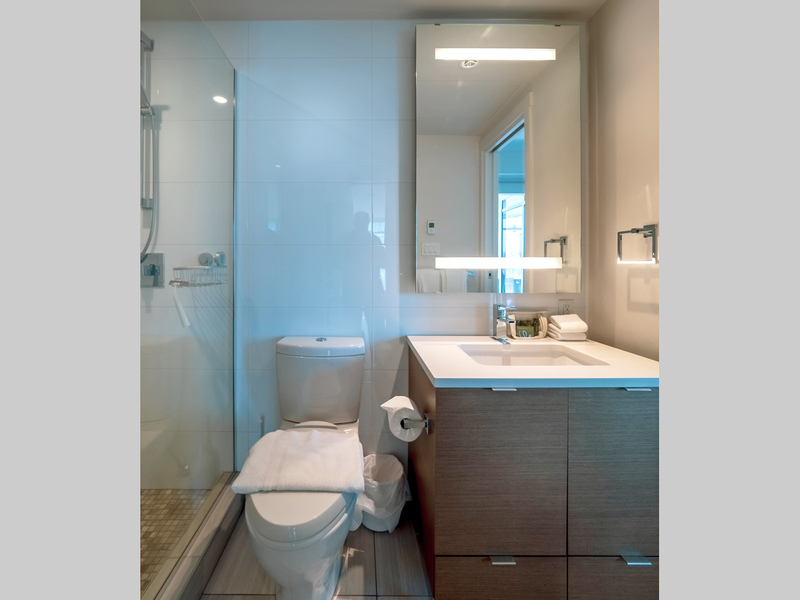 The bathroom offers a stand-up shower, and is accessible from the bedroom or the hall. 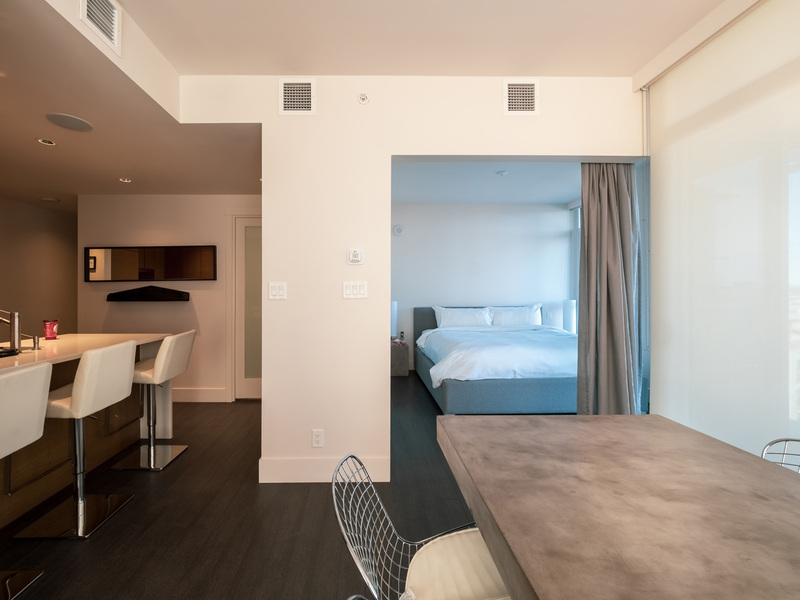 The suite is unique in that the bedroom is open-concept, with 3 walls and an extra wide door opening. 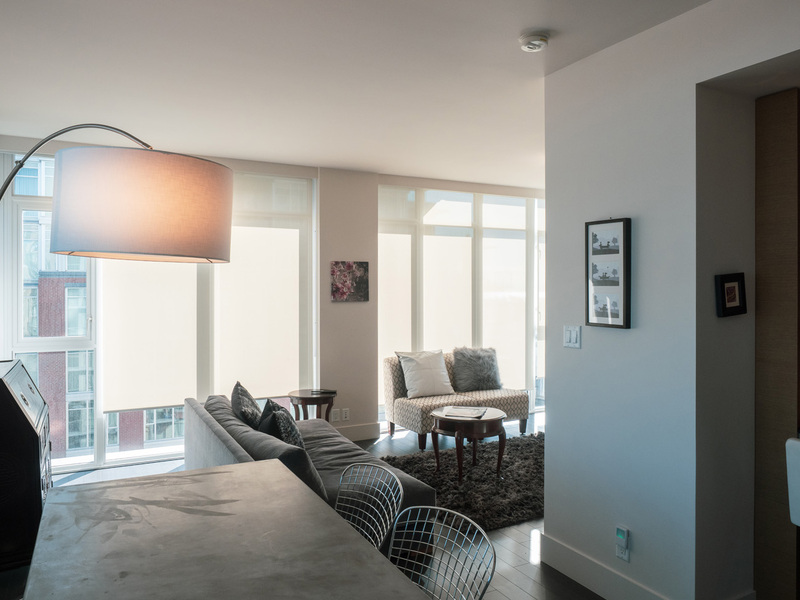 The design allows light to flow through the suite, with a curtain room divider for added privacy. 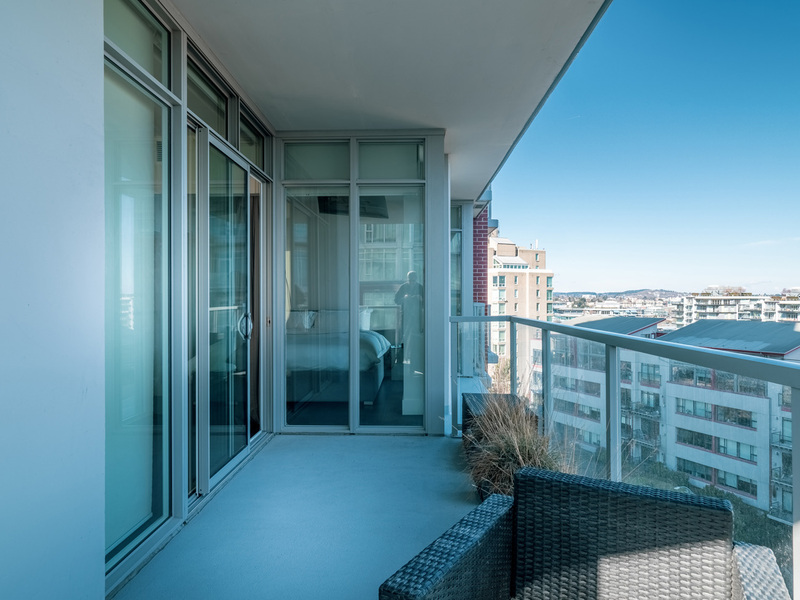 Enjoy the modern conveniences of the building, including in-suite air conditioning, concierge, a fantastic gym and residents lounge. 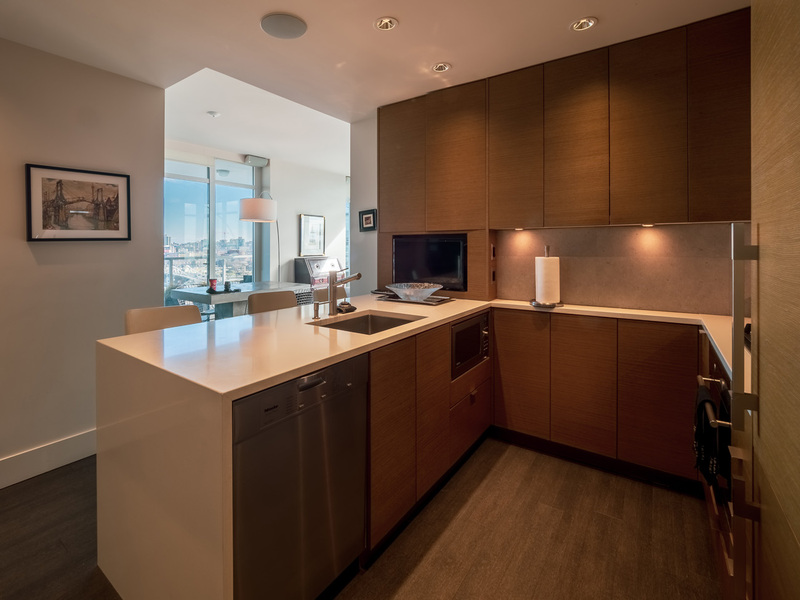 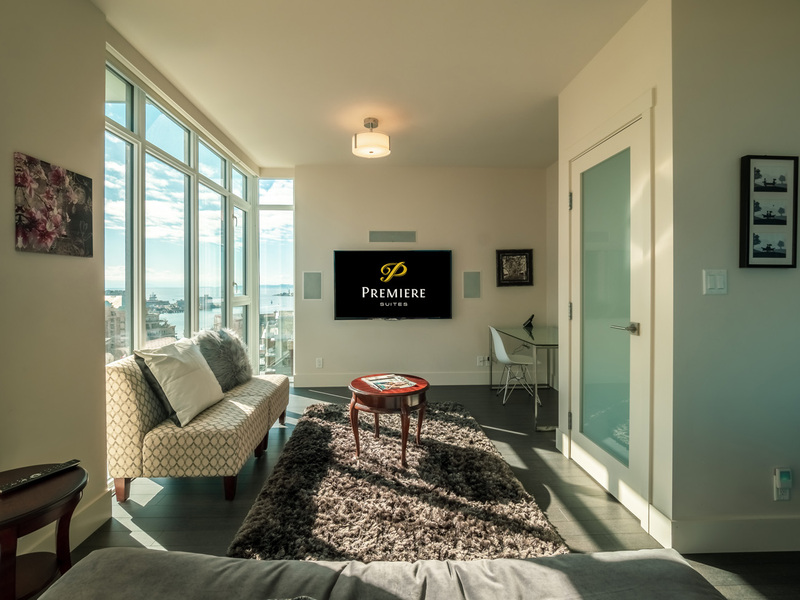 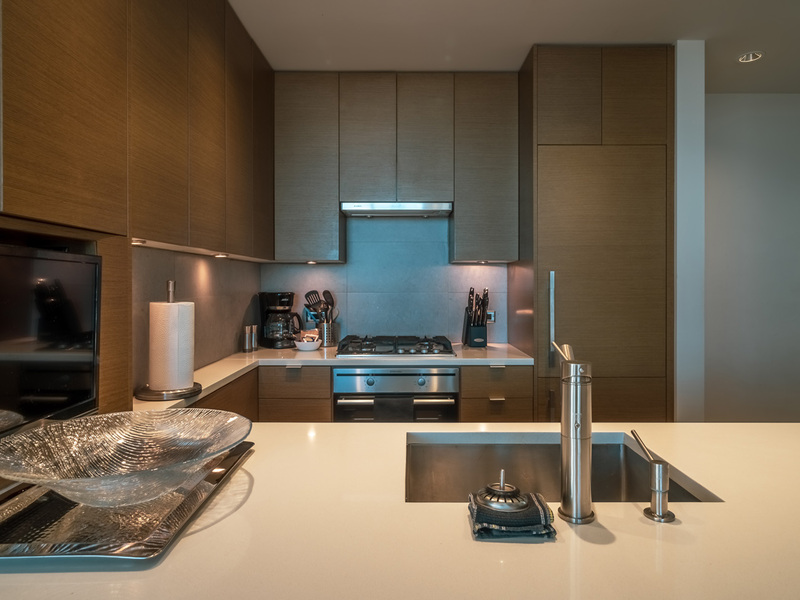 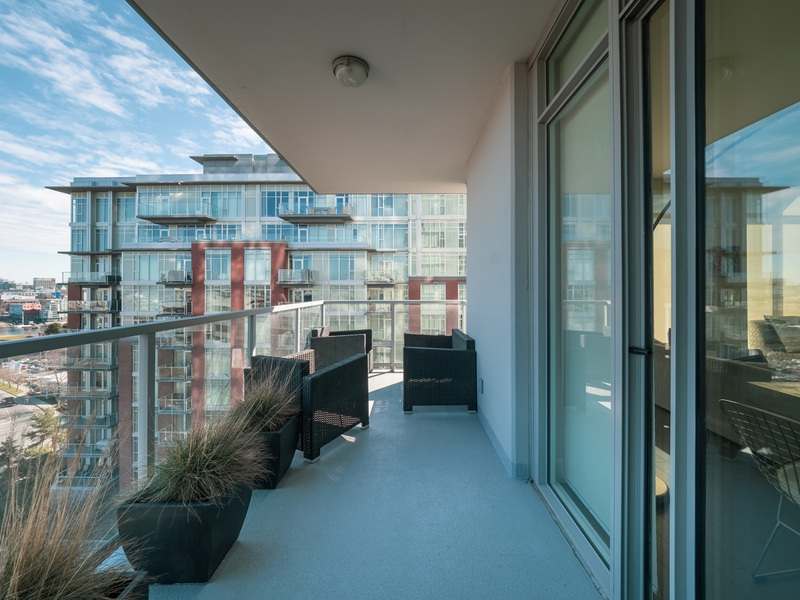 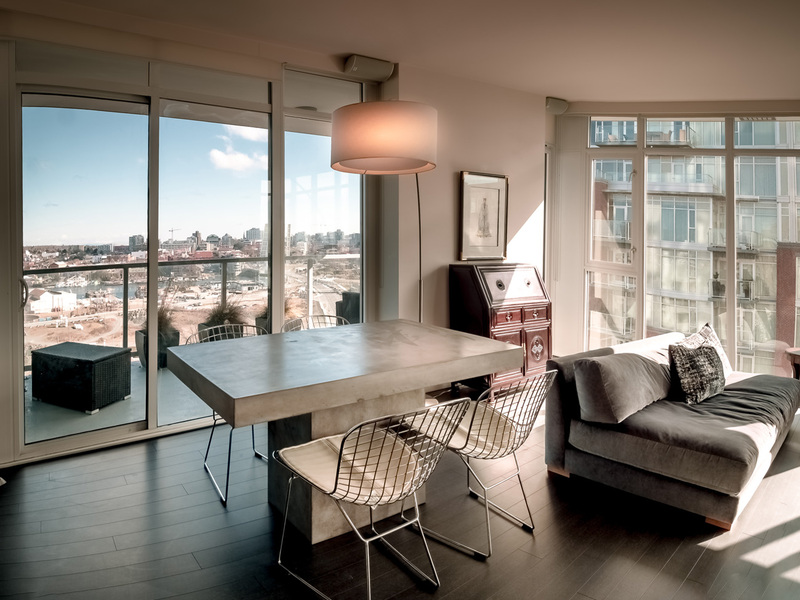 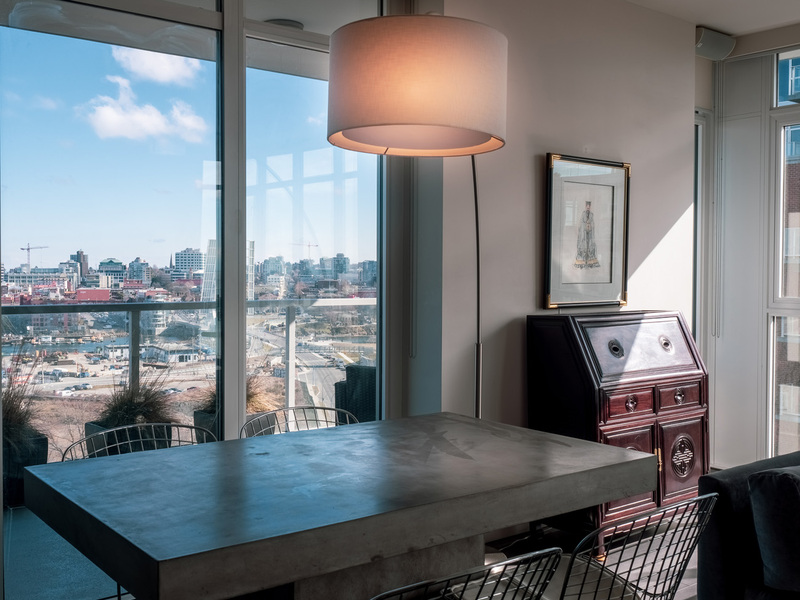 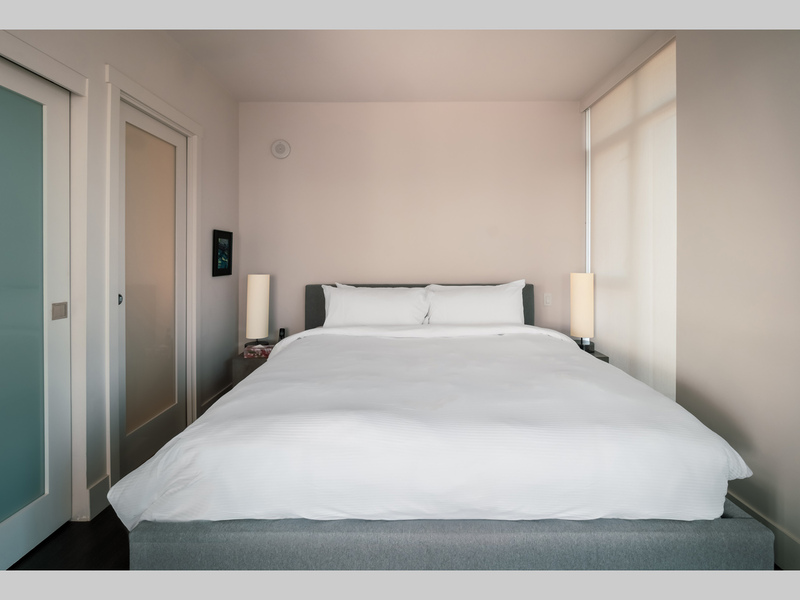 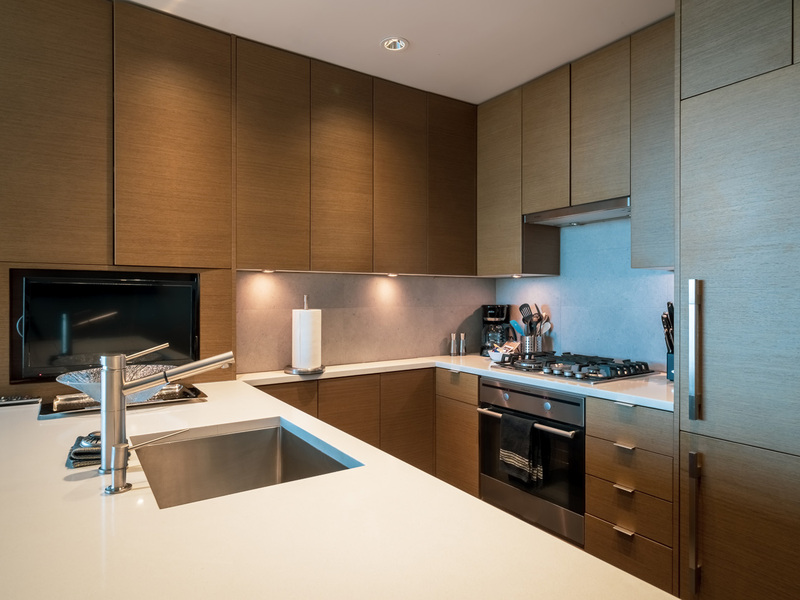 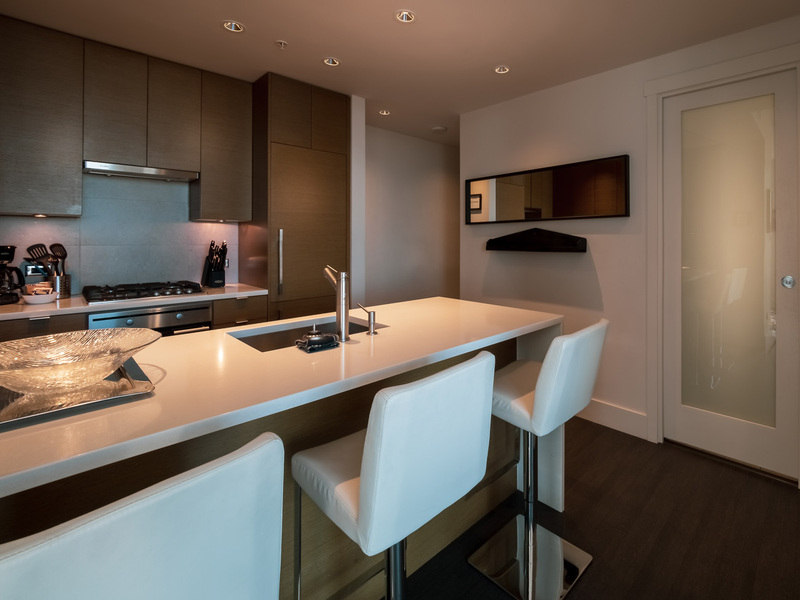 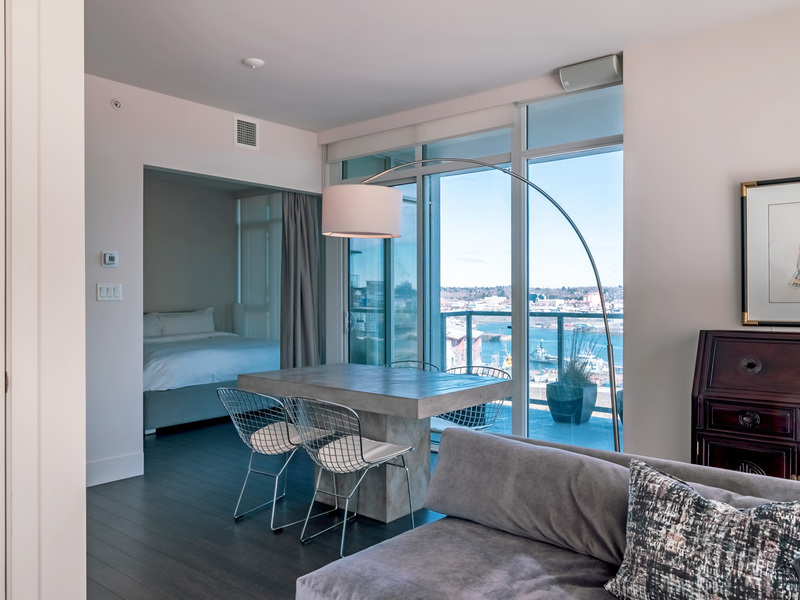 Situated in the city’s tallest condominium development, the suite is comfortably furnished and perfect for a professional couple or single jet-setter.